Nikon's very first single lens reflex body....The F. The legacy of this camera begins with Nikon S lineup of rangefinders. If you look at the Nikon SP, you'll see the striking similarity between the two bodies. As the story goes, the SP was mocked up with a mirror box to prototype the first F-mounts. The body is no frills when compared to modern cameras. 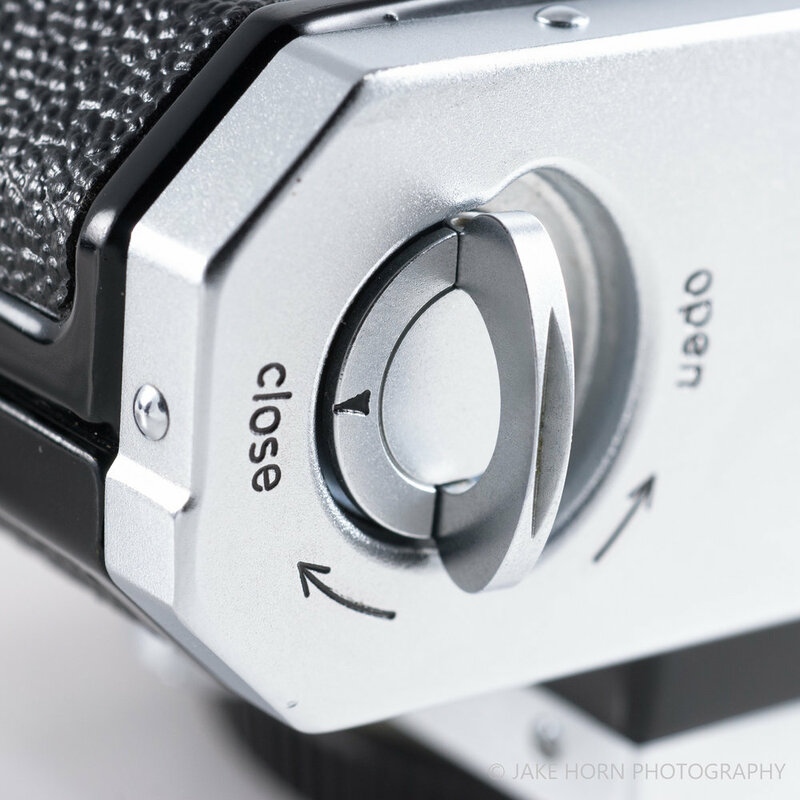 There are shutter speed options from one second to 1/1000th in full stop intervals. You simply mount a Nikkor lens, meter separately, set the speed/aperture, and fire away. All of these operations are simple enough, until you get to advancing to the next frame. The film advance lever has a lot to be desired. It has sharp edges that are not comfortable, and makes no attempt to follow the contour of the your thumb. There is also a slight amount of free play up and down on the lever itself making it feel broke somehow. I've handled a number of copies and this seems to be common. When compared to a Leica film advance, or the superior ergonomic lever on the Nikon F3, the F feels dated. 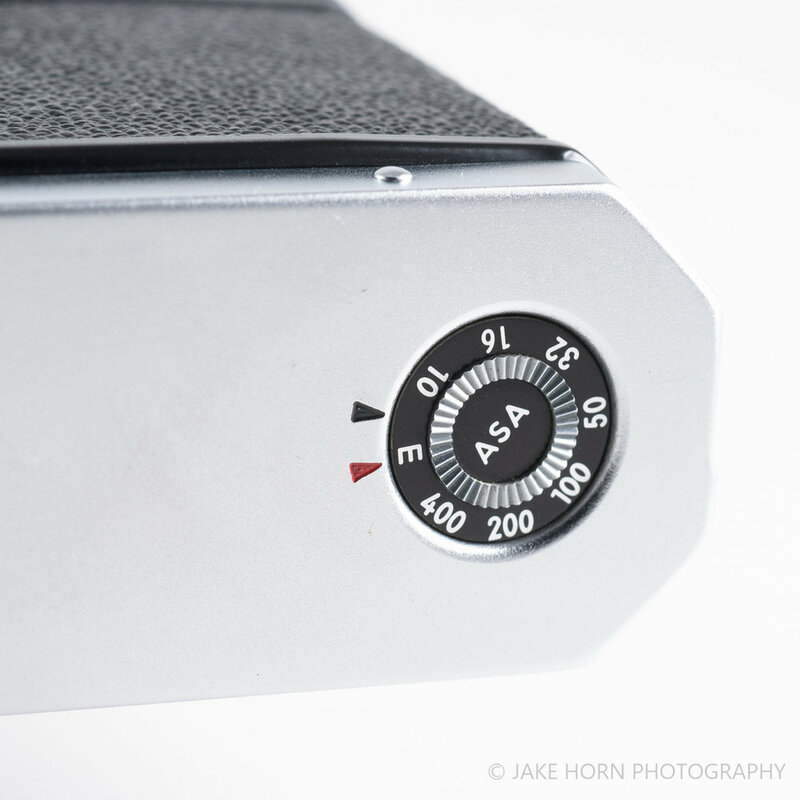 For those familiar with Leica rangefinders, the F has a similar, removable back plate to accommodate film loading. This can be somewhat tricky when you're out and about. 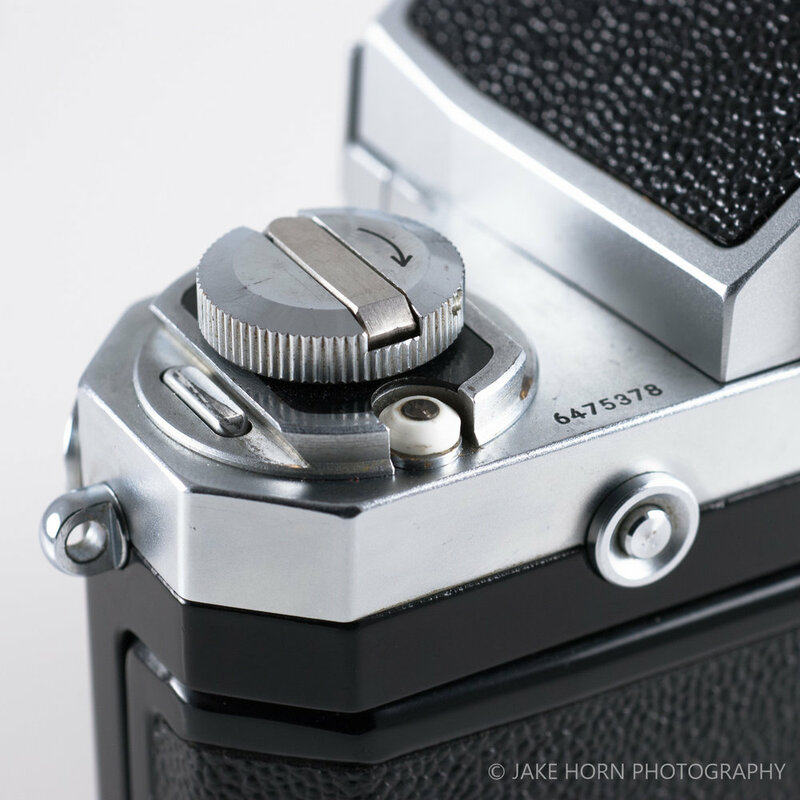 The back needs to be stowed in a pocket or bag temporarily to free both hands to load film. Seems like an odd process if you've never tried it, but it's quite simple in practice. One complaint that you'll hear about the camera body is that the sharp corners are not comfortable in the hands. They later rounded these out in the F2, but I feel that they compromised the design aesthetic by doing so. The edges are not really all that sharp, and I found that they helped provide a good grip. If you are looking to pick one of these up, I would recommend the standard, non-metered prism. They are getting increasingly expensive and are far more durable than the metered heads. I'll leave all the metered prisms differences for a separate post, but they are difficult to get in working condition. Also, people that are able to fix them are few and far between. This is a great camera to have in your bag at all times. No batteries, durable, and versatile. While you can not use modern, aperture ring-less lenses, it will accommodate everything else. Once you have a good metering method down, this camera will make you a better photographer. It's amazing how an all manual camera will force you to step up your skills in reading light, so you can concentrate on your craft. Aside from the clumsy film advance, this camera is an essential part of photography and I would recommend picking a copy up. You can produce great pictures with it using modern film emulsions during the day and display it proudly on your shelf at night.